Past intramural champion t-shirts in a line. 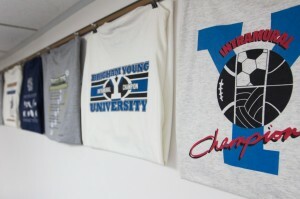 BYU students have been known to go to great lengths to win one of these t-shirts (Ari Davis). It is a cold, wet day near the end of November. Heavy snow has been falling since the early hours of the morning throughout Provo. As the sun begins to set across the Utah Lake, a small group of students gathers on the Richards Building fields. Despite the snow, many of them wear shorts, while even more wear t-shirts. The BYU Intramural Tournament is in full swing, and these athletes wouldn’t miss it for the world, much less a blizzard. “Unless ESPN calls and offers me a job, or an NFL team offers me a tryout or the prophet calls me in for an interview, I’m not missing that championship game,” said Riley Lewis, a BYU student who plays intramural flag football. His dedication is no different from that of hundreds of other students who consider intramural sports an important part of their college experience. While most athletes are motivated by trophies, fame and money, intramural athletes compete for one thing: the t-shirt. Every year the intramural department produces an original t-shirt design. Members of the championship team of each division of each sport receive a free t-shirt at the end of their championship game. Because the t-shirt changes each year, one shirt is never enough. “Crazy” may be the perfect word to describe the lengths some students will go to to win a game. Shayla Robins, a BYU student who plays intramural soccer, told the story of a fight that broke out during a coed soccer game. While Robins’ experience is a rare one, some referees say it happens more than most students would care to think. Because of this, the BYU Intramural Office has implemented strict policies to combat bad sportsmanship on the field, giving officials broad jurisdiction over the areas they officiate. According to the BYU Intramural website, this authority includes the power to eject from current and future games and from intramural participation in other sports. Lewis agreed with Johnson, comparing some students to Uncle Rico in the popular movie “Napolean Dynamite.” Rico was portrayed as an ex-high school football star who still lived in the past. “I know I am a little that way,” Lewis said. Intramurals are similar to other athletics in another way as well—the injuries. 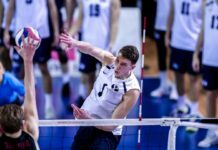 It is a rarity for BYU’s basketball or football teams to finish a season without at least one sport-stopping injury. While the intramurals office does everything in its power to keep students safe, accidents are the nature of the game. Landon Hyde, an avid intramural soccer player, has broken three bones in two separate intramural games. Hyde also got kicked in the arm as a goalie and ended up with another broken bone. Most people would consider just one injury of that magnitude a sign that it was time to retire, but Hyde can’t stay away. Players cite the lack of experience on the field as key to many injuries. 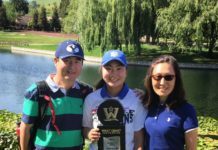 Despite weather problems, injuries, busy schedules and more, many BYU students continue to give everything they have to winning that elusive t-shirt. To those who don’t play, it may seem a foolish waste of time, but to those who spend dozens of hours a month on intramurals, nothing could be more worth it. Lewis loves intramurals because it is a great way for him to de-stress. “It is fun to play with classy guys that will give you a good game,” he said. Spencer is a public relations major with a passion for international business and politics. Follow him on Twitter @skmecham.